Dan appeared on Nightline for an episode that included an exclusive interview with Martin MacNeill’s mistress, Gypsy Willis. On Saturday, prominent Utah doctor, Martin MacNeill was convicted of murdering his wife, the motive – his former mistress Gypsy Willis. Did he kill for love? Dan sat down with Gypsy to ask the burning questions on everyone’s mind regarding this case. Explains Dan, ” Today Gypsy Willis sat down with us, to explain her role in the bizarre murder trial of her former lover, a prominent Utah physician. 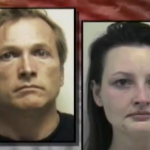 Prosecutors successfully argued that MacNeill convinced his wife, Michele, to get a face-lift just so he could over-prescribe medication and ultimately kill her, all to start a new life with Gypsy.” Watch the full interview here.